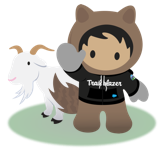 Connect to your customers in a whole new way with the power of the Customer Success Platform. Join us in New York City on December 13, and access the best speakers, hands-on sessions, keynotes, networking, and more — for free. Register now for a full day of learning.